Dr.S.ViswanadhaRaju working as Professor of Computer Science and Engineering, has more than 20 years of experience in Teaching, Research and Administration. He obtained M.Tech from JNTUH and Ph.D. from Acharya Nagarjuna University,Guntur. He certified CMI in Education Leadership and Program Management from Dudley college London which is sponsored by MHRD-AICTE and UKIERI. He has been honoured with Best computer Science engineering award from ISTE A.P., for the year 2014 and Best citizen of India etc.His research interests include Programming methodology;Algorithms, Information Retrieval, Biometrics, Databases, Data Mining,Research Methodology and Quality in Higher Education are globally recognized. He filed seven Indian patents deriving from his research.His research contributions are not only confined to his subject area but also extend to other related domains arising out of the new Education System, Assessment and Accreditation, and their impact on Indian Higher Education. To add impetus to his academic credentials he has undergone training as well as speaker for the quality improvement in education at NITTTR, WOSA-2012(world summit on accreditation 2012), WOSA-2014, TCS, Infosys, and NBA/NAAC. He produced 05Ph.Ds. and submitted 01Ph.D theses for evaluation. He is LifeMember of ISTE, IETE, CSI and IACSIT. He has 80 Research publications in reputed International/National Journals and Conferences. 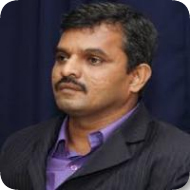 He has authored 02 book and implementing 02 AICTE sponsored research projects and one fellowship from TS&ST. He has been a member of Several Governmental Committees. He has served as Director MCA-GRIET, Head Dept of CSE, JNTUHCEJ. He delivered number of invited talks, expert lectures and key note addresses on various technical topicsas well as Outcome Based Education, NBA/NAAC accreditation process, in the country and outside India. He has organized several workshops, seminars, tutorials and conferences. He has visited Singapore and Taiwan and interacted with several academicians and researchers.